Local elected officials from Twin Cities suburbs came to the State Capitol today to urge Governor Mark Dayton to veto legislation that would strip local government’s authority to raise labor standards for working people in their communities. House File 600 would prevent any local government from passing ordinances that provide working people paid sick days, paid family leave, or raise the minimum wage. A recent Star Tribune poll found that 60 percent of Minnesotans oppose this legislation. 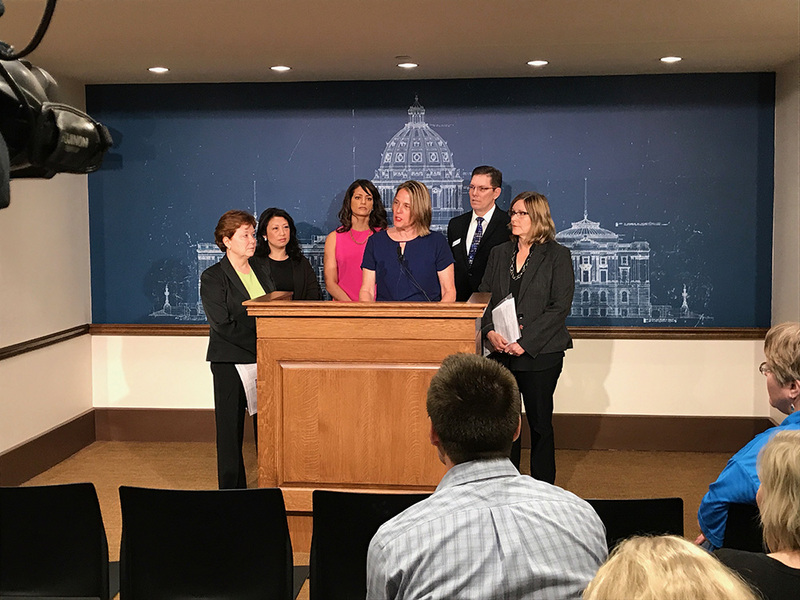 The legislation, now sitting in a House and Senate conference committee, would also retroactively repeal the paid sick day ordinances that are set to benefit more than 150,000 working Minnesotans. Those ordinances only passed after a long process that included discussion and input from all involved stakeholders. HF 600 is just one of many bills introduced this year that would curtail local control. 50 different city councils have passed resolutions to oppose these bills.